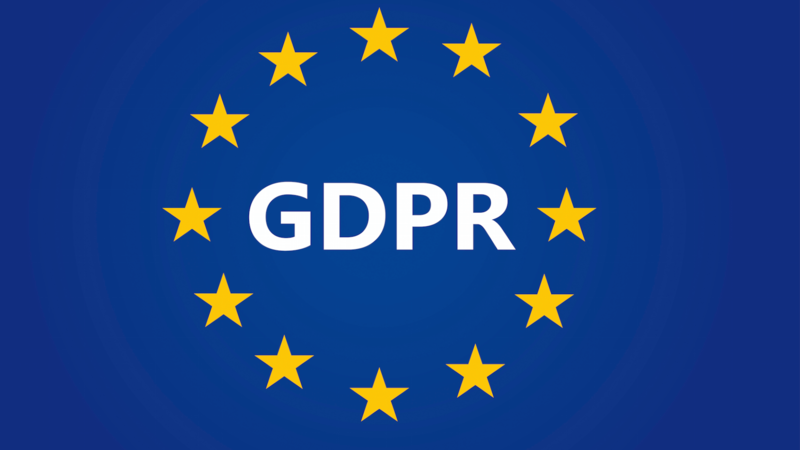 A new European privacy law, the General Data Protection Regulation (GDPR), is set to take effect later this year, and its requirements are something that all email marketers should be familiar with, even if you live outside the EU. This law places new obligations on anyone that processes the personal data of EU citizens, and limits the ways in which personal data can be used. Since the definition of “personal data” includes information like names and email addresses, the GDPR very much applies to email marketing and your use of Direct Mail. You’re encouraged to familiarize yourself with the new law, and, if necessary, update your business practices to comply with the new requirements. We have put together a guide to the GDPR, including information on how it specifically applies to your use of Direct Mail, and how Direct Mail can help you meet the requirements of the new law. For our customers in the EU who require it, we also have a Data Processing Addendum available. As outlined in our guide to the GDPR, Direct Mail is compatible with the requirements of the new law and can be used to process the personal data (i.e. email addresses, names, etc.) of your mailing list subscribers. It is important to remember, however, that you control the personal data that is being inputted into Direct Mail and, as such, should only do so in a manner compatible with the requirements of the GDPR. Among other things, this means making sure you obtained consent from the people on your mailing list, or have another legal basis for emailing them. Please see our guide for more detail. You can lawfully use Direct Mail even if you are located in an EU member state. As explained in our guide to the GDPR, we have certified to the cross-border Privacy Shield framework, which provides you a recognized legal basis for using Direct Mail to process the personal data of EU citizens. There are many ways that Direct Mail can help you meet the requirements of the new law—our guide explains them all—but one of the best is our easy-to-use subscribe forms. 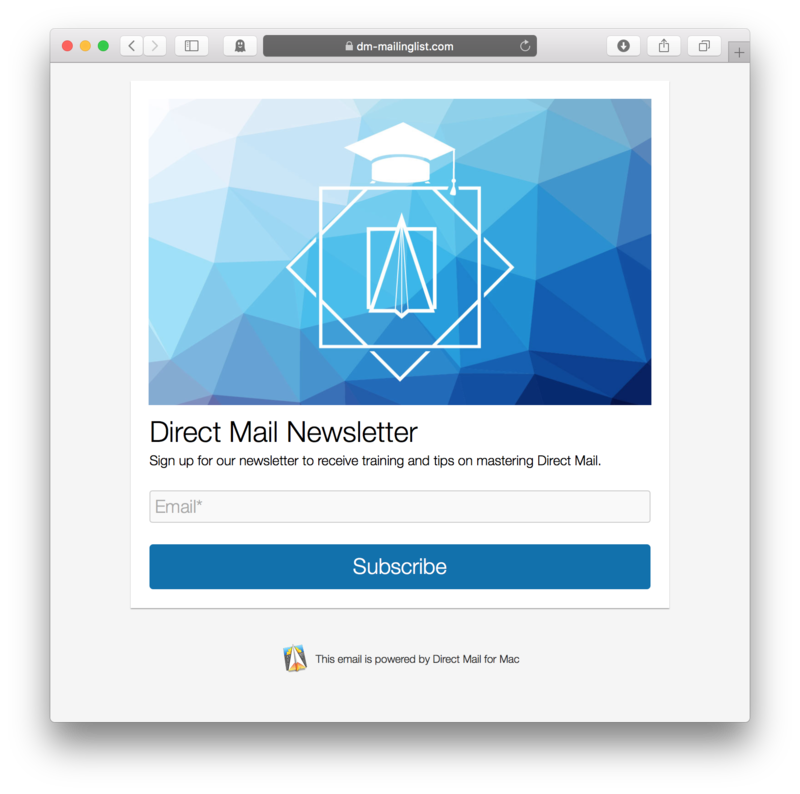 You can use Direct Mail’s subscribe form editor to create attractive email sign-up forms that can be placed on your website, Facebook page, iPad, and more. When people join your mailing list via these forms, you’ll have a full record of their consent that meets the requirements of the GDPR. The new GDPR law is set to take effect soon, and it’s important to be aware of its requirements. Our guide to the GDPR is a great place to start to familiarize yourself with the new rules. Luckily, Direct Mail is fully compatible with the GDPR for users inside the EU and out, and includes tools you can use to bring your own business into compliance. Our support team stands ready to answer any questions you might have, and, as always, welcomes your feedback.